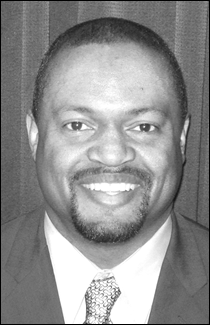 The State Bar Board of Trustees Friday elected Los Angeles attorney Craig E. Holden as State Bar vice president for 2013-2014. Holden, a partner with Lewis, Brisbois, Bisgaard & Smith LLP, defeated two other candidates in voting at the board’s meeting in Los Angeles. His election gives Los Angeles the top two positions in the group’s hierarchy. Luis J. Rodriguez, 46, a deputy public defender, was elected president without opposition. San Diego attorney Heather Rosing, 41, defeated two opponents, including Los Angeles attorney David Pasternak, for the office of treasurer, denying the local delegation a clean sweep of the offices. The new officers will be sworn in—the state’s chief justice traditionally does the honors—at the State Bar’s annual meeting in October. Holden, 43, outpolled Nancy L. Fineman, a principal of Cotchett Pitre & McCarthy LLP in Burlingame, and Pearl G. Mann, a Fullerton sole practitioner, to win the vice presidency. He will succeed Rodriguez in that office. Holden has been a member of the group’s governing body, formerly known as the Board of Governors, for the past two years, representing Los Angeles County lawyers. He is a former chair of the State Bar’s Council on Access and Fairness—a 25-member advisory committee formed to recommend ways to increase diversity in the legal profession—and co-chair of the Intellectual Property Litigation Committee for the Intellectual Property Section. He is also a founder and past chair of the State Bar’s Diversity Coalition and a former member of the executive committee of its Law Practice Management & Technology Section. From 2002 to 2005 he served as a judge pro tempore for the Los Angeles Superior Court, and in 2007 he was honored as Advocate of the Year by Public Counsel, in recognition of his pro bono work recovering millions of dollars for elderly and disadvantaged victims of fraud. Holden graduated from UCLA in 1991 and from Hastings College of the Law in 1994, the year he gained admission to the State Bar. His practice at Lewis Brisbois focuses on intellectual property and commercial litigation, and he also has served as outside counsel to companies in the high-technology, engineering/manufacturing, entertainment, professional services and retail industries. He becomes the second vice president elected under SB 163, the State Bar restructuring legislation approved two years ago. Under that measure, the Board of Trustees is transitioning from a 23-member body primarily elected by lawyers to a smaller board with a primarily unelected membership. Rosing defeated Pasternak and Michael G. Colantuono, a partner Colantuono & Levin PC and city attorney for Grass Valley and Auburn, to win the treasurer’s position. Pasternak is a former Los Angeles County Bar Association president and a member of Pasternak, Pasternak & Patton, a Century City firm where he has practiced since 1982. Rosing is a shareholder in San Diego’s Klinedinst law firm, where she heads the professional liability practice. She is a certified specialist in legal malpractice and has defended a number of judges in Commission on Judicial Performance matters. She has represented Imperial, San Diego, Riverside and San Bernardino counties on the board for the past two years and lost to Gretchen Nelson in last year’s balloting for treasurer. Rodriguez, whose election became a foregone conclusion when nominations closed in May, will be the group’s first Latino president. He has previously served as president of the Mexican American Bar Association of Los Angeles County, president of the California La Raza Lawyers Association, president of the Latino Public Defenders Association, member of the California State Board of Education. Like Holden, he is a former chairman of the Council on Access and Fairness. Rodriguez said Friday that as president he will work to ensure that California courts are adequately funded and to protect the public against immigration fraud by attorneys.